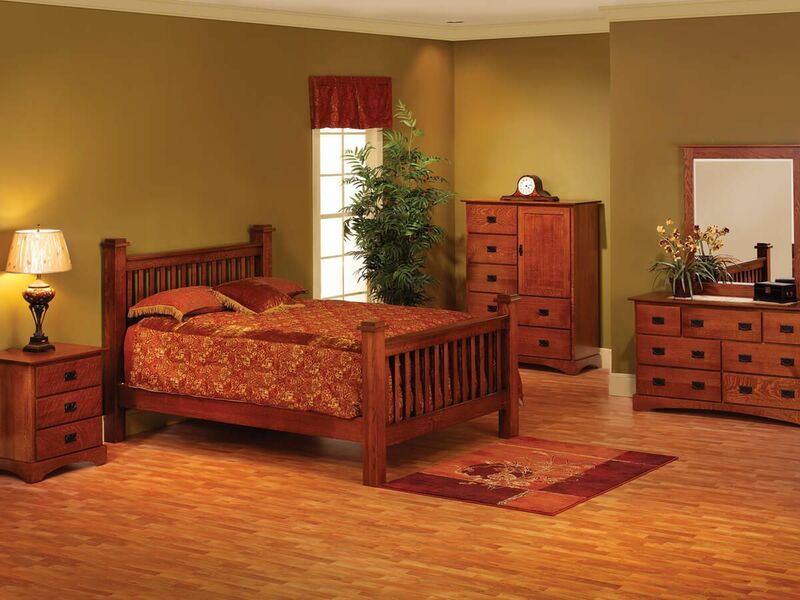 Our Amish artisans handcraft the Mission Hills Chest with Door of responsibly harvested, locally sourced hardwood in your selected wood species. Full extension slides ensure the drawers of your Mission Hills Chest extend fully providing ease of access to the entire drawer. Additionally, soft close slides afford the quiet, slow, and controlled closure of each attached drawer included with your door chest. 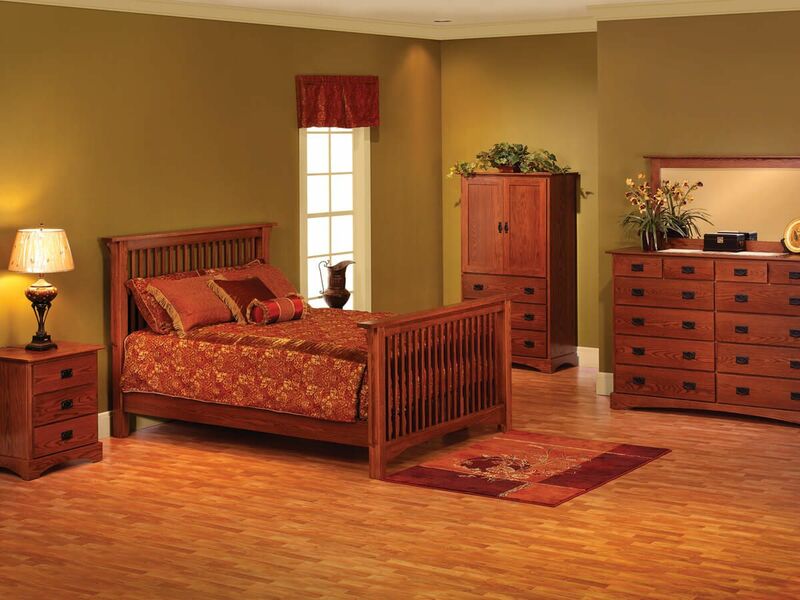 One adjustable wood shelf is included behind the inset paneled door. 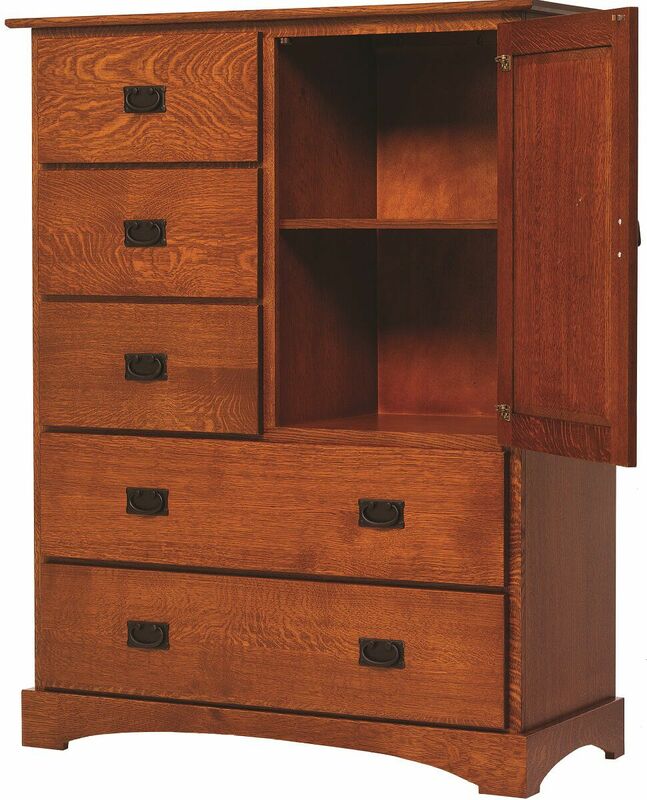 Pictured in Quartersawn White Oak, the Mission Hills Door Chest displays the distinct ray-fleck pattern of this hardwood. 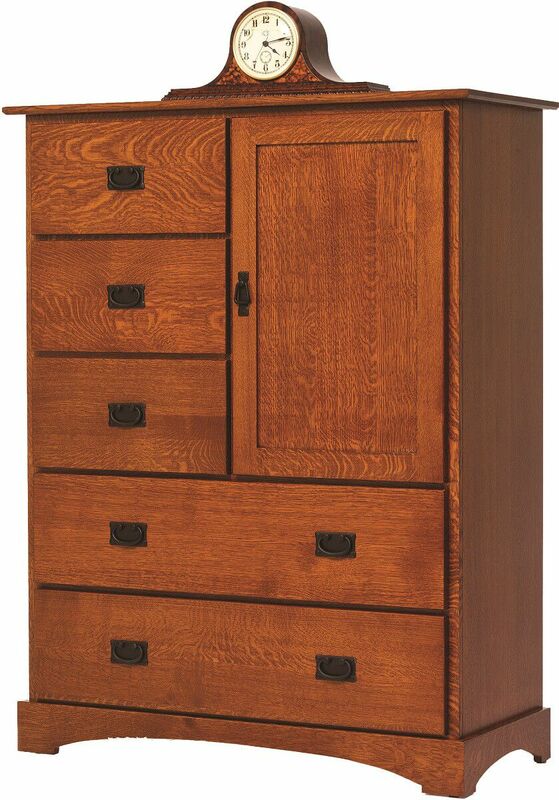 To obtain the pictured look on your own chest with door, choose Quartersawn White Oak with a hand-rubbed Sassafras finish from the options menu.